On our last few trips to St. John, we noticed signs for "Pastory Gardens", and on our last trip there, we decided to explore this place. 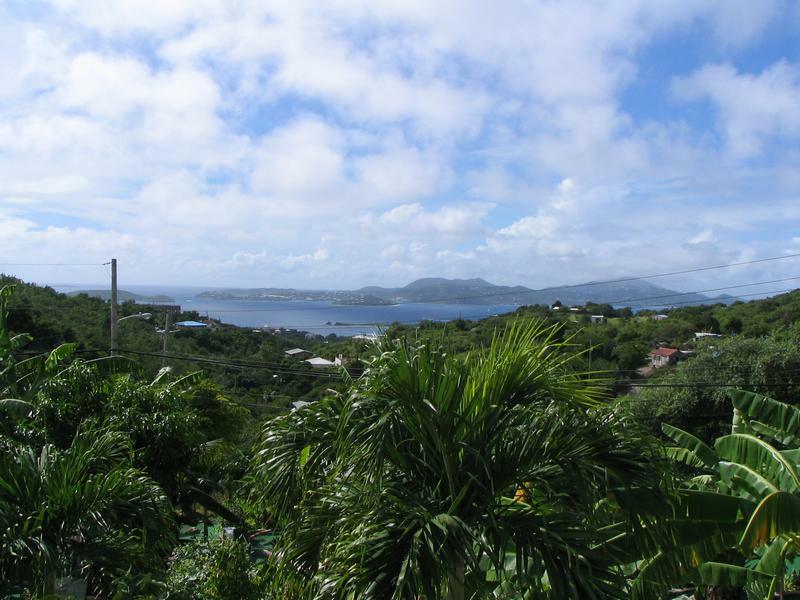 Pastory Gardens is located high on a hill, a mile from the ferry dock in Cruz Bay. 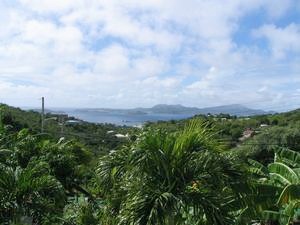 There is a perfect view of St. Thomas, and you can stop there for an informal lunch or dinner at its open-air bistro type restaurant. A variety of sandwiches, salads and burgers were on the luncheon menu, and, of course, there is a bar offering everything, including exotic tropical drinks. When we were there, the grounds were still being developed, but there was already a beautifully planted tropical garden immediately surrounding the restaurant. 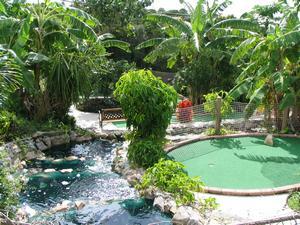 There is also an 18-hole executive putting course, designed by a professional miniature golf course designer. The course is a tropical paradise consisting of loads of banana trees, tropical flowering plants and ground covers, waterfalls and a stream. We were told that there would soon be a butterfly exhibit there as well. We will make it a point to return on our next visit to see how things are progressing there.